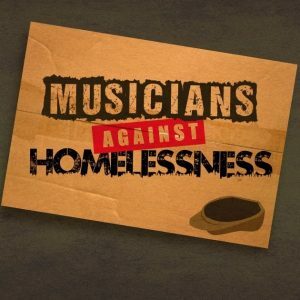 Musicians Against Homelessness (MAH) launch their 2018 campaign to raise money for the homeless charity Crisis in England, Scotland and Wales and Simon Community in Northern Ireland. Rock and pop stars including Shaun Ryder and Cast are backing the cause which looks set to have an even bigger impact this year. Former Oasis guru Alan McGee launched the campaign in 2016. It was publicly supported by celebrities such as Lilly Allen, Liam Gallagher and Irvine Welsh. Over 500 bands played over one hundred MAH benefit gigs around the UK. But McGee expects even more bands and household names to get behind this year’s drive which coincides with the 50th anniversary of Crisis. He said: “Last year the response was incredible but more people know about us now. The initial MAH gigs last September and October saw local bands raise much needed funds in England, Scotland and Wales, attracting national media coverage and rock press backing. This year, the campaign is expanding by teaming up with Simon Community Northern Ireland. Chief executive Jim Dennison said: “We are thrilled to be working with Musicians Against Homelessness to raise awareness of homelessness in Northern Ireland.